*Excluding the temporarily occupied territories of the Autonomous Republic of Crimea, and the city of Sevastopol. 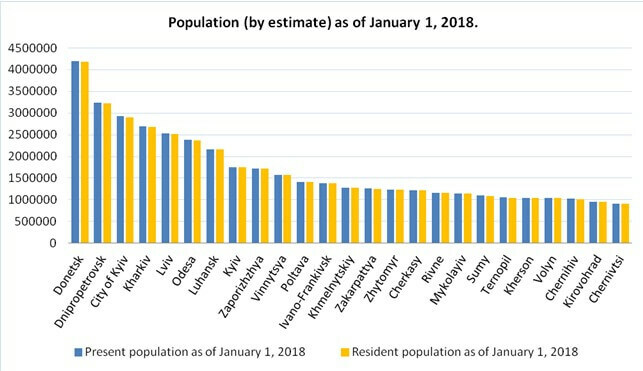 The number of population (estimation) is calculated according to the available administrative data on the official birth and death registration including changes in registration of the residence. Data can be rivesed.